What content is in the “Early Attempt to Govern the Newly Independent States” differentiated instruction lesson plan? The “Early Attempt to Govern Newly Independent States” differentiated instruction lesson plan, that is now on http://www.teacherspayteachers.com/Store/Kasha-Mastrodomenico, follows the 7th grade NYS social studies curriculum. The following content is included in the differentiated instruction PowerPoint that contains two ability levels. What political systems were established in the colonies? How did the American revolution parallel the move toward self-government? What were the major documents of the independence movement and how were they produced? What is included in the “Early Attempt to Govern the Newly Independent States” differentiated instruction lesson plan? Where can I find the “Early Attempt to Govern the Newly Independent States” differentiated instruction lesson plan? This entry was posted in New Government in Operation Differentiated Instruction Lesson Plans, New York State Social Studies, Social Studies Differentiated Instruction, Social Studies Differentiated Instruction Lesson Plans and tagged American Revolution differentiated instruction lesson plan, differentiated instruction, Early attempt to govern the newly independent states, early attempt to govern the newly independent states differentiated instruction lesson plan, early attempt to govern the newly independent states lesson plan, social studies differentiated instruction, social studies differentiated instruction lesson plan on January 28, 2013 by Kasha Mastrodomenico. What content is included in the “Early Attempt to Govern the Newly Independent States” differentiated instruction lesson plan? This entry was posted in Differentiated Instruction Lesson Plans, New Government in Operation Differentiated Instruction Lesson Plans, New York State Social Studies, Social Studies Differentiated Instruction, Social Studies Differentiated Instruction Lesson Plans and tagged 7th grade NYS social studies curriculum, American History differentiated instruction lesson plan, American Revolution differentiated instruction lesson plan, American Revolution lesson plan, differentiate instruction, differentiated instruction, differentiates instruction, early attempt to govern newly independent states lesson plan, Early attempt to govern the newly independent states, early attempt to govern the newly independent states differentiated instruction lesson plan, social studies differentiated instruction, social studies differentiated instruction lesson pan on January 28, 2013 by Kasha Mastrodomenico. The “Early Attempt to Govern the Newly Independent States” differentiated instruction lesson plan is now on http://www.teacherspayteachers.com/Store/Kasha-Mastrodomenico, which specializes in middle school social studies differentiated instruction. I differentiates instruction for vocabulary by using different ability levels and allows for student choice based on the Multiple Intelligence Theory. There are three different ability levels: enriched, average and basic. There are three sections on the vocabulary sheet: vocabulary word, definition and student choice of drawing a picture or writing a sentence to show understanding. The enriched version allows for more critical thinking by making the student write the definition in their own words. The average version uses slotted definitions that can be filled in by looking at the PowerPoint. The basic version has the full definition of the vocabulary word so that the student has time to read and then think about it before moving on to the sentence/drawing section. The differentiated instruction mini-lesson is presented through a PowerPoint. There are two different ability levels of the PowerPoint. The enriched version allows for more critical thinking and the basic version is simplified. The same content is used in each version. This works great when there is a co-teacher in the room and parallel teaching takes place. If you don’t have a co-teacher, don’t worry. You can choose which version will work best for your students and still differentiate it. There are two versions of note sheets for each PowerPoint. The basic version uses slotted notes and the enriched version of the note sheets allows the students to write the notes in their own words. Using slotted notes for students with a lower ability level provides time for students to partner review the content of each slide. Repetition is very important for the retention of content. The graphic organizer should be done in mixed ability pairs because it deals with the primary source documents above. This uses level 6 of the my Leveled Writing System. It has a grading checklist. This entry was posted in Differentiated Instruction Lesson Plans, New Government in Operation Differentiated Instruction Lesson Plans, New York State Social Studies, Social Studies Differentiated Instruction, Social Studies Differentiated Instruction Lesson Plans and tagged early attempt to govern the newly independent states differentiated instruction lesson plan, early attempt to govern the newly independent states lesson plan, social studies differentiated instruction on January 27, 2013 by Kasha Mastrodomenico. 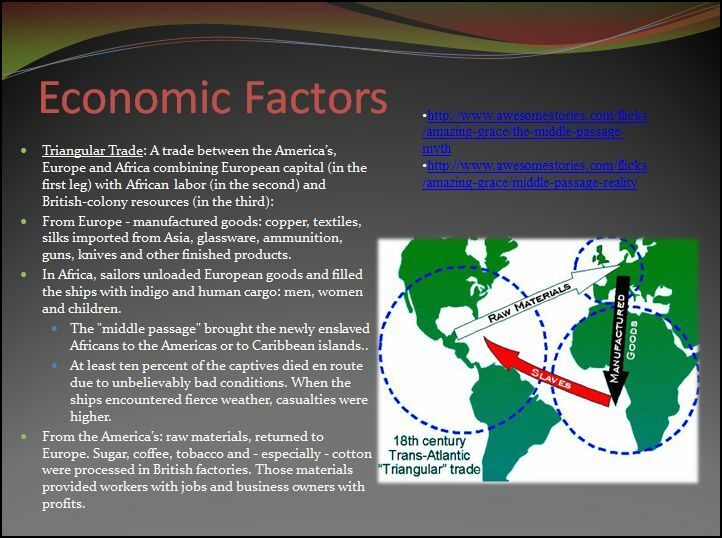 *From Europe – manufactured goods: copper, textiles, silks imported from Asia, glassware, ammunition, guns, knives and other finished products. In Africa, sailors unloaded European goods and filled the ships with indigo and human cargo: men, women and children. *The “middle passage” brought the newly enslaved Africans to the Americas or to Caribbean islands. *At least ten percent of the captives died en route due to unbelievably bad conditions. When the ships encountered fierce weather, casualties were higher. *From the America’s: raw materials, returned to Europe. Sugar, coffee, tobacco and – especially – cotton were processed in British factories. Those materials provided workers with jobs and business owners with profits. Where can I find the Background Causes of the American Revolution differentiated instruction lesson plan? What is included in the “Background Causes of the American Revolution” differentiated instruction lesson plan? This entry was posted in American Revolutionary War Differentiated Instruction Lesson Plans, New York State Social Studies, Social Studies Differentiated Instruction, Social Studies Differentiated Instruction Lesson Plans, Social Studies PowerPoints and tagged 7th grade NYS Social Studies, 7th grade NYS social studies curriculum, American Revolution differentiated instruction, American Revolution differentiated instruction lesson plan, American Revolution lesson plan, Background Causes of the American Revolution, Background Causes of the American Revolution differentiated instruction, background causes of the american revolution differentiated instruction lesson plan, Background Causes of the American Revolution lesson plan, social studies differentiated instruction, social studies differentiated instruction lesson plans on January 27, 2013 by Kasha Mastrodomenico. Another site you can get the “Background Causes of the American Revolution” lesson plan on is teachersnotebook.com where I run another store. Only the PowerPoint is available right now but the lesson should be up soon. 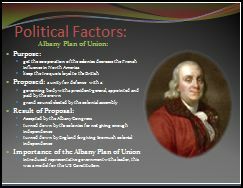 Background Causes of the American Revolution differentiated instruction PowerPoint Where ever you decide to get the “Background Causes of the American Revolution” lesson plan you will not be disappointed. To find out more about this lesson plan click on the links below: What does the “Background Causes of the American Revolution” lesson plan include? What content does the “Background Causes of the American Revolution” lesson plan include? This entry was posted in American Revolutionary War Differentiated Instruction Lesson Plans, Differentiated Instruction, Differentiated Instruction Lesson Plans, Social Studies Differentiated Instruction, Social Studies Differentiated Instruction Lesson Plans and tagged American Revolution, American Revolution differentiated instruction, American Revolution differentiated instruction lesson, American Revolution differentiated instruction lesson plan, American Revolution lesson, American Revolution lesson plan, Background Causes of the American Revolution, Background Causes of the American Revolution differentiated instruction, background causes of the american revolution differentiated instruction lesson, background causes of the american revolution differentiated instruction lesson plan, Background Causes of the American Revolution lesson, Background Causes of the American Revolution lesson plan, differentiated instruction, social studies, social studies differentiated instruction, social studies differentiated instruction lesson plan on January 25, 2013 by Kasha Mastrodomenico. The anticipatory set is a vocabulary work sheet that is based on the Multiple Intelligence Theory and uses ability levels to differentiate instruction. There are three sections: vocabulary word, definition, and allows student choice between a drawing or a sentence that shows understanding. There are three ability levels of these sheets to challenge students on their own ability level. The basic level includes the vocabulary word and definitions so that they can read it and then use it in the third box with either a drawing or a sentence. The average ability level includes the vocabulary word and slotted definitions in which they fill from the PowerPoint. The slots highlight the most important part of the definition. They then will need to draw or write a sentence in the third box. The enriched version allows room for more critical thinking by having the students write the definition in their own words and then work on the third box for drawing or a sentence. Below is an example of the three ability levels vocabulary sheet. Differentiated instruction continues with the note section of the “Background Causes of the American Revolution” social studies differentiated instruction lesson plan. There are two ability levels of a PowerPoint that contains the same content. The basic level has been simplified to allow students the opportunity to finish their notes and have time to review with a partner or on their own. The basic note sheet uses slotted notes that they can fill in as they go through the PowerPoint. The enriched version goes into more detail and allows the students to use their critical thinking skills to write their notes in their own words. Below is an example of the basic note sheet that goes with the PowerPoint. The activity uses mixed ability level grouping to interpret the Data Based Questions provided about the Albany Plan of Union. This also bring in the Common Core Standards. 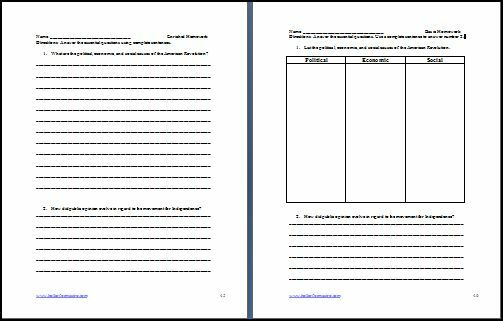 For the Concluding Set, the Background Causes of the American Revolution lesson offers a differentiated instruction graphic organizer that is available in two different ability levels. The basic ability level has the content but not the titles in the boxes and also includes a word box. The enriched version allows students to use more critical thinking skills by filling in the content box around the titles. Below is the graphic organizer. It focuses on both the economic causes and the political causes of the American Revolution. There is even differentiated instruction using different ability levels for homework included in the Background Causes of the American Revolution lesson as seen below. 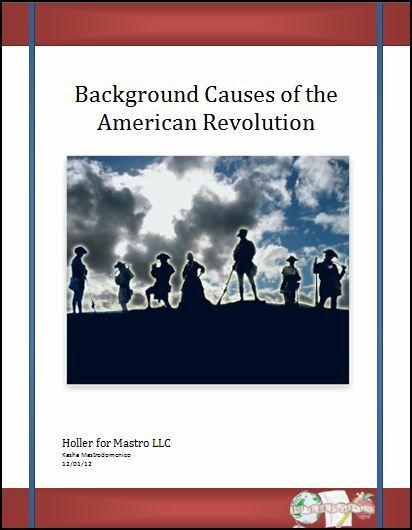 The “Background Causes of the American Revolution” differentiated instruction lesson plan should be used in a middle school classroom and is perfect for NYS. Below are more links that can help you learn more about the “Background Causes of the American Revolution” differentiated instruction lesson plan. Where can I find the “Background Causes of the American Revolution” differentiated instruction lesson plan? What content is included in the “Background Causes of the American Revolution” differentiated instruction lesson plan? This entry was posted in American Revolutionary War Differentiated Instruction Lesson Plans, Differentiated Instruction, Differentiated Instruction Lesson Plans, New York State Social Studies, Social Studies Differentiated Instruction, Social Studies Differentiated Instruction Lesson Plans and tagged American Revolution lesson plan, Background Causes of the American Revolution, Background Causes of the American Revolution differentiated instruction, background causes of the american revolution differentiated instruction lesson, background causes of the american revolution differentiated instruction lesson plan, Background Causes of the American Revolution lesson, Background Causes of the American Revolution lesson plan, differentiate instruction, differentiated instruction, NYS 7th grade social studies, NYS Social Studies Core Curriculum, NYS Social Studies Curriculum, NYS Social Studies Standards, social studies differentiated instruction, social studies differentiated instruction lesson plans, social studies lesson plan, social studies lesson plans on January 25, 2013 by Kasha Mastrodomenico.